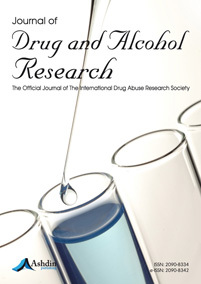 The Journal of Drug and Alcohol Research, the Official Journal of the International Drug Abuse Research Society and the International Narcotics Research Conference, is a scholarly, open access, and peer-reviewed journal dedicated to publishing original research papers, reviews, protocols, news and views, and commentaries in the field of drug, nicotine and alcohol abuse, both basic and clinical. All papers submitted to the Journal of Drug and Alcohol Research will be subjected to peer review by the editorial board of the journal as well as by at least two outside experts. In case of conflicting opinions, the editor may review the manuscript himself or forward it to another expert for a final review. Manuscripts will be published online as soon as they are accepted which will reduce the time of publication. Because there are no space limitations or favored topics, all papers, within the scope of the journal, judged to be sound by the reviewers, will be published. Everyone will have equal and open access to the journal via the Internet. While the authors may retain the copyright for their article, they will allow anyone to download, reproduce, publish, modify or copy and distribute the article so long as the authors and the source are cited. Permission is not required from the journal or authors.